When strength and flexibility are in need, Ultra Scrim SR 20WW is a great choice! This film compares to a 20 mil film. It is a 3-ply laminate combining two layers of LLDPE (linear, low density polyethylene) and a very strong cord grid. 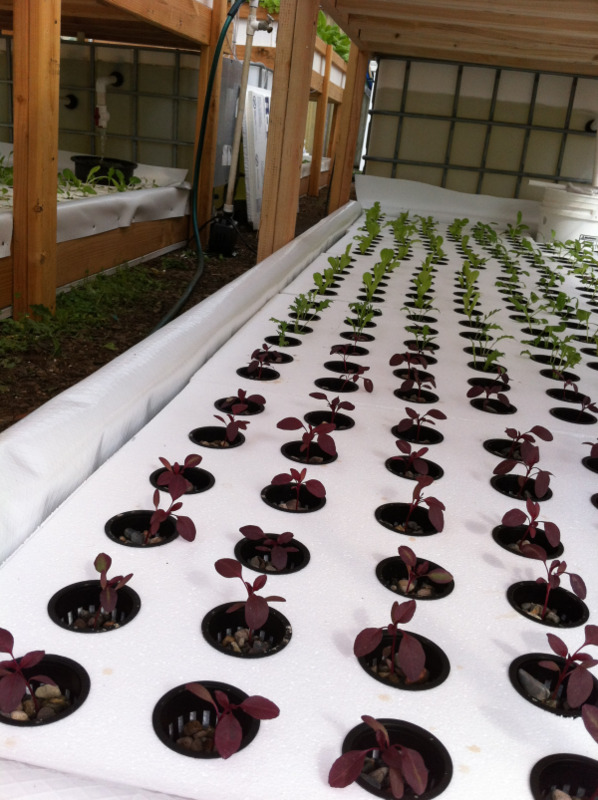 Great for use in indoor aquaponics applications. It's a bright white in color. Class A, ASTM-E 1745 Standard Specifications for water vapor retarders in contact with soil or granular fill under concrete slabs. Custom shapes available. Not too many films offer this option. Add tie-downs, grommets, hems, zippers and 3-D shapes to suit your project! Custom sizes up to 100' x 200' and custom fabrications to meet your exact specifications. So strong you can re-use it! Multiple layers and the cord reinforcement resists tears and gives this film a long life. Easy handling due to the flexibility and light weight of the film. Installation time is reduced. Moisture transmission is inhibited due to the low permeability of this film.